Having an issue with a foggy headlight? Replace it with Crown Automotive Driver Side Headlight which is designed for your Jeep Grand Cherokee with Laredo package and without headlamp leveling. Giving you better vision and a cleaner look. Offering a 12 Month/12,000 Mile Limited Warranty. 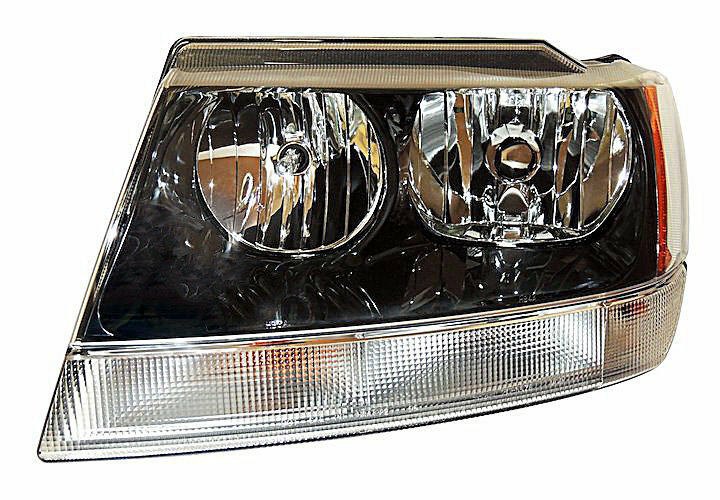 Factory Replacement: Specifically designed for your Laredo without headlamp leveling. Affordable Design: Crown offers a quality replacement at a reasonable price.